We spend much of our lives transitioning between identities. Imagine the movement from childhood to adulthood, or, most notably, to adolescence, a period of ambiguity with a potential for rebellion, passionate romances, and experimenting with new identities. This ambiguity during liminal times seems to threaten the structure of social life. As we see ourselves and other people escaping from defined categories and roles, we are forced to wrestle with its meaning. This period constitutes a time of transition, when one set of meanings and hierarchies is no longer applicable, and another is still held in abeyance. It is a time brimming with danger and possibility. Rituals across societies, especially those marking changes in identity — such as young Masai men who sleep in the wilderness and are then circumcised before they are inducted as a new class of warriors — have a similar structure. Ritual moves us from one role to another, but it needs to take us through a liminal stage. This moment of in-betweenness is more than an afterthought. It is crucial to the possibility of transformation taking root. For example, new recruits entering the army are stripped of their identity through the experiences of boot camp, a series of rituals that erase many of the markers that provided them with a sense of identity in their civilian life. We are emptied, as it were, so that we can become a vessel for a new identity. For Jews, wandering in the desert was a time of in-betweenness. No longer slaves, but not yet a sovereign people, the Jewish people traveled through the desert, a symbolic nothingness. It is only when we are emptied out, when the generation that clung to its identity has passed, that we are ready to move forward. Jewish thought not only acknowledges this liminality, but also fills it with meaning. For, despite describing a condition of being between moments, liminality is meaningful in its own right. The teenage years are not simply a period in which we wait for adulthood to occur. Rather, these years are a meaningful time of becoming and of coming to terms with and shaping the identities we see on our horizon. For some, liminality is etched more deeply. During the years I spent with Orthodox men and women in the La Brea neighborhood in Los Angeles, some of my friends were Messianic Chabadniks who were awaiting the imminent reappearance of the rebbe. The world around them was interpreted and reinterpreted in light of the end of Jewish exile — that long time of liminality, moving toward a new age. far more common than we may imagine. Social life is not made of only one rhythm of transformation. There are contending rhythms and trajectories. There are the rhythms of relationships and the rhythms of work, religious rhythms and secular rhythms, market rhythms and political rhythms. For example, we may be on a secure footing at work, but then return to a place of liminality at home, where we are in between marriage and singlehood. We may feel as if we live in stable economic times while knowing that the possibility of an ecological disaster places us on a threshold between a secure world and a global cataclysm. We are, then, almost always living in liminal time, at least from some perspective. Understanding the ubiquity of such liminality allows us to think about social life not as a settled world punctuated by moments of flux, but rather as a place of transition marked by a constant oscillation among different modes of being. Structure and formlessness feed upon each other. Structure gives us the basic categories through which we experience the world and the institutions that make it livable; formlessness provides us with creative possibilities and the ability to question and refashion our lives. Liminality represents not only a threatening tear in the social fabric, but also excitement and possibility. This story "Finding Flux" was written by Iddo Tavory. 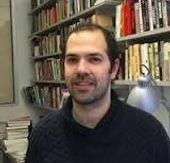 Iddo Tavory, an associate professor of sociology at New York University, studies culture and religion. His 2016 book, Summoned: Identification and Religious Life in a Jewish Neighborhood, is an ethnography of an Orthodox Jewish neighborhood in Los Angeles. Sh’ma Now welcomes reader comments in order to promote thoughtful discussion on issues of importance to the Jewish community. In the interest of maintaining a civil forum, Sh’ma Now requires that all commenters be appropriately respectful toward our writers, other commenters and the subjects of the articles. Vigorous debate and reasoned critique are welcome; name-calling and personal invective are not and will be deleted. Egregious commenters will be banned from commenting. While we generally do not seek to edit or actively moderate comments, our spam filter prevents most links and certain key words from being posted and the Forward reserves the right to remove comments for any reason.